My goal for 2016 is to blog more. However, I want to be more specific in this goal so I am challenging myself to post at least once a week. I’d love to post three or four times a week, but considering I didn’t even post three or four times in an entire year I thought I’d try to be realistic. 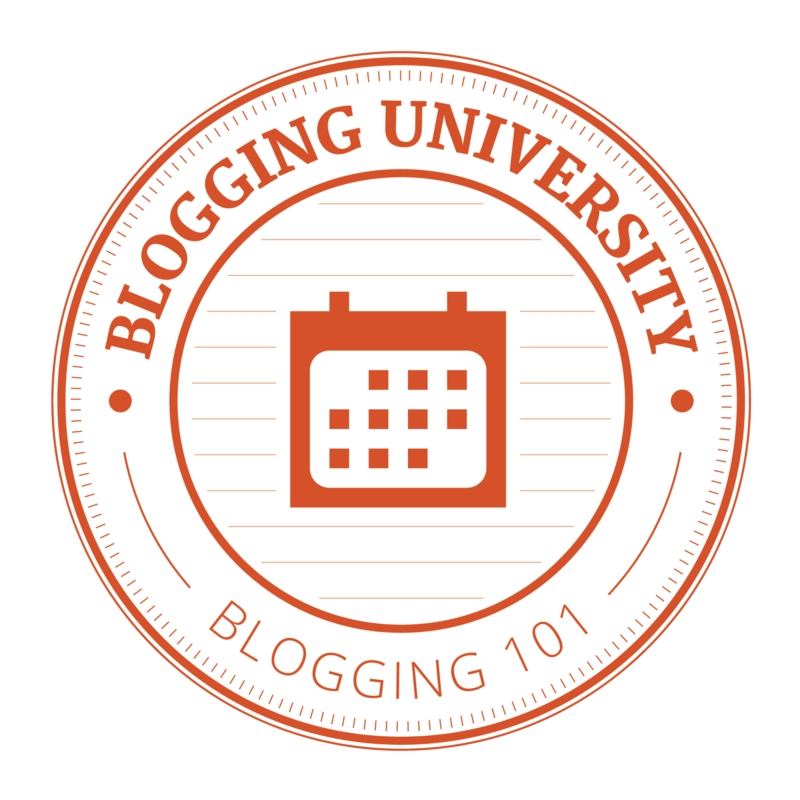 I’m starting with asking myself the question of why I blog. Why did I start blogging in the first place? I thought back to when I started my blog. I had been posting things on Facebook about my kids. I’d post funny things they said or did or share my struggles (and humor) of motherhood. I liked sharing with others and I enjoyed hearing how the stories often helped other parents or made people laugh. 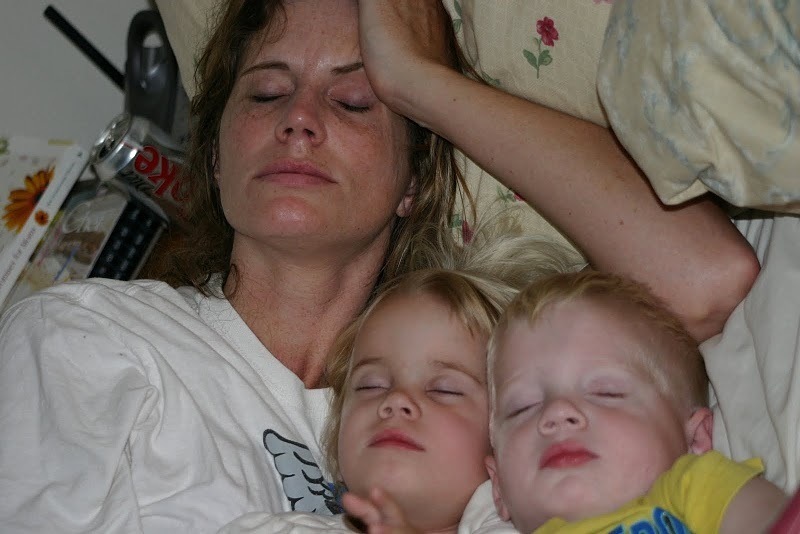 It also was very therapeutic to write about motherhood when I was stressed and up to my eyeballs in laundry and dishes. My mom encouraged me to start a blog to share these stories. I checked into blogging and was excited because I could post more detailed stories (no word count limit) and add photos and other cool widgets. So I think I have determined that my original purpose for blogging was to relieve stress in my own life as well as to give my readers some humor and joy in their stressful day. Is that still the purpose of my blog? I think so, but it’s different now that my kids are older. My husband Dwight and I were high school sweethearts and we have been happily married for 17 years. We have a 9 year old son, Caleb, who has Autism and is non-verbal (he also has a fascination with flushing toys and other un-flushable objects down the toilet … we now have the plumber on speed dial). Then there are the twins, Emma & Ethan, who are 7 years old. They act like a little old married couple and so we affectionately refer to them as “Fred & Ethel” from I Love Lucy. Our oldest son, Drew, just turned 13. Wow, I am a mother of a teenager ~ That makes me feel old ! I sometimes feel like I’m running in circles trying to balance a full time job, motherhood, and all the church activities and responsibilities that come with being a pastor’s wife. Well, now you know a little about my family and my life … I hope you enjoy reading about the adventures of our not-so-perfect pastor’s family. So I guess one of my first tasks of 2016 is to update this page since the twins are about to be teenagers and Drew will be graduating from High School in June! What is your New Year’s Resolution? Feel free to share in the comments below. 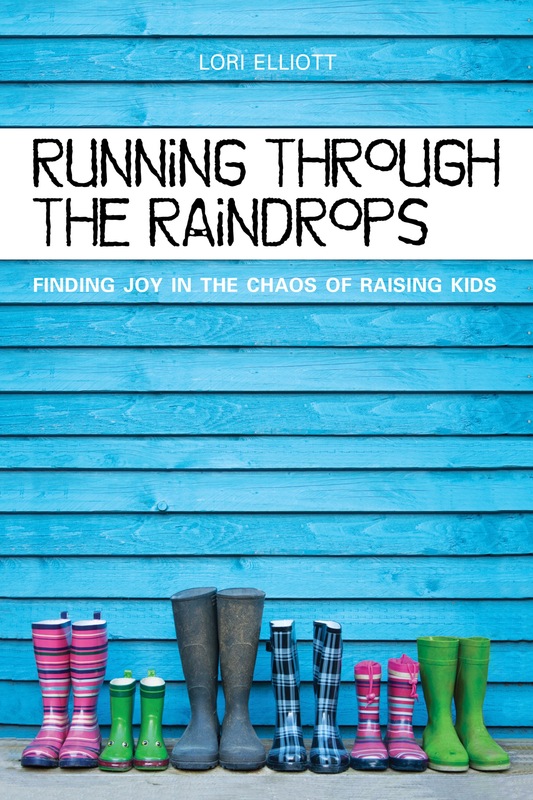 Today I will be interviewed about my new book Running Through the Raindrops…Finding Joy in the Chaos of Raising Kids on Blog Talk Radio. I am not an expert in computers and the Internet, but from what I can gather this interview can be listened to live at 3:00 pm EDT or any time after that as a podcast. Simply click on the link below if you‘d like to listen in and join us! I will be reading an excerpt from my book so tune in to hear about the adventures of the pastor’s kids! “I don’t know. Do you want to come?” I hadn’t really thought about making it a family event because I really didn’t know if the kids would enjoy it. 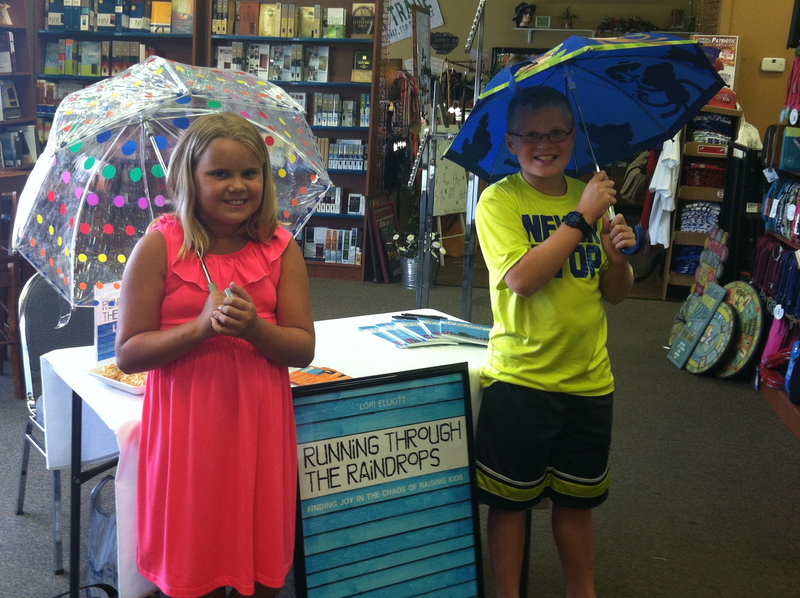 So, Saturday afternoon the “stars” of Running Through the Raindrops were all in attendance at my book signing and they had a great time playing with the props (umbrellas), sampling all the cookies and talking with those who stopped by to purchase the book. 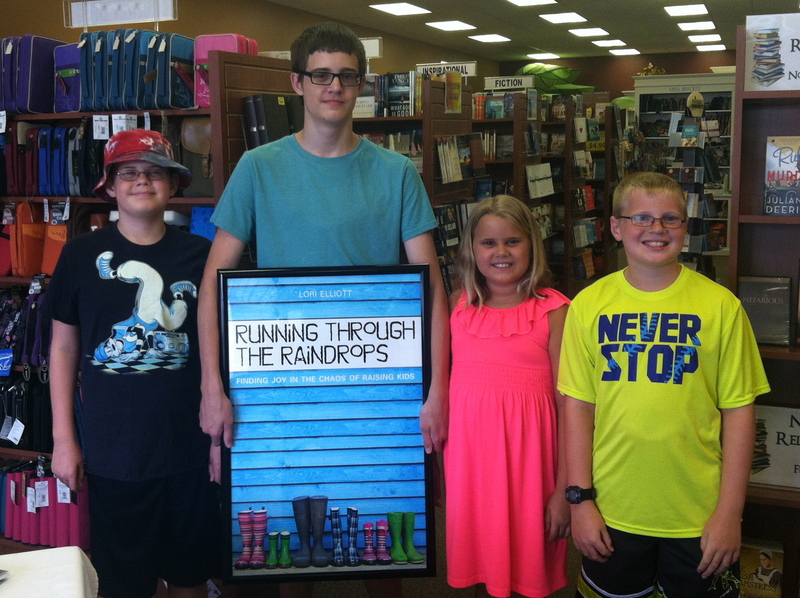 It was a successful book signing and I was so glad the kids all came along. Now by “successful” I don’t mean I sold hundreds of copies of my book or that there was a long line of people waiting to meet the author. It was successful because we had the opportunity to meet other parents and talk with them about the struggles and the joys of raising kids. We had some especially meaningful conversations with parents who also had kids with autism and had been through many of the same struggles we had. My husband, Dwight, and I really enjoyed meeting these wonderful families and, after all, that is the whole reason I started writing in the first place. I wanted to connect with other parents and share our joys, our fears and our frustrations. One of the most amazing moments was when a friend of ours brought her granddaughter, Hannah, into the book signing. 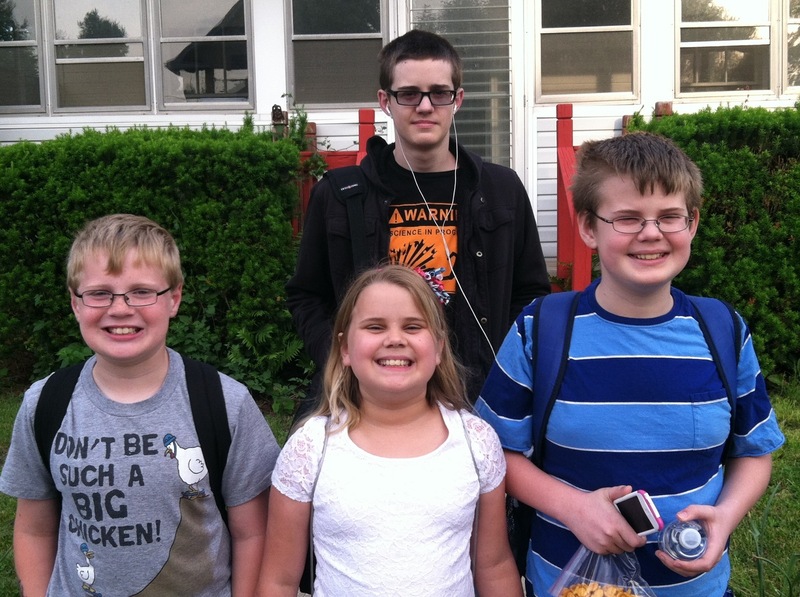 Hannah is in school with Caleb and she also has autism and is non-verbal. When Caleb and Hannah saw one another they both smiled and started jabbering away. We couldn’t understand what they were saying, but Caleb was making his “happy sound” and jumping up and down so I think that they were excited to see one another. It was blessing to see a friendship that goes against what so many have defined autism to be. Friendship is one thing that kids with autism are said to not be capable of understanding or obtaining but it was clear to us that assumption couldn’t be farther from the truth! So here is to my “stars”: Drew, Caleb, Ethan and Emma – I love you and I had an awesome time celebrating with you on Saturday! If you haven’t read my book and want to learn more about it you can click HERE for an interview I recently did with Michelle Lynn Brown. 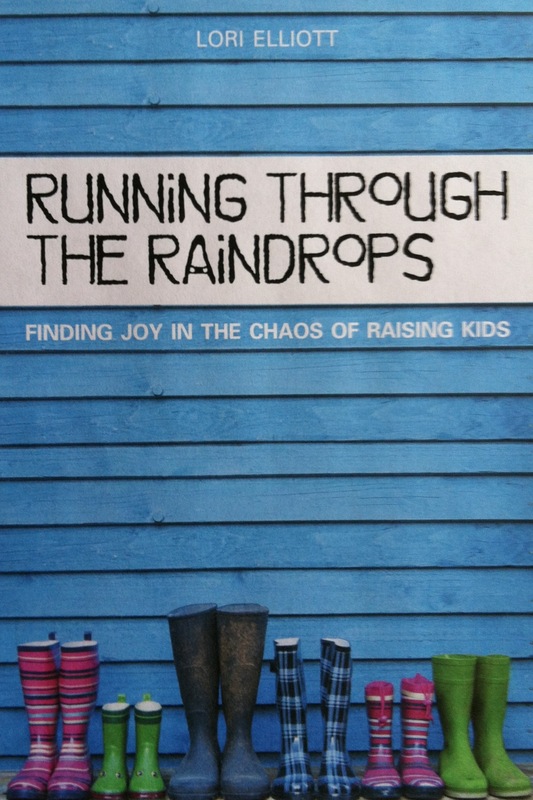 You can purchase Running Through the Raindrops on Amazon as a paperbook or Kindle. Also available as a NookBook and on Kobo. If you have read the book it be great if you’d leave a review on Amazon – thanks so much! I had to agree with Ethan. 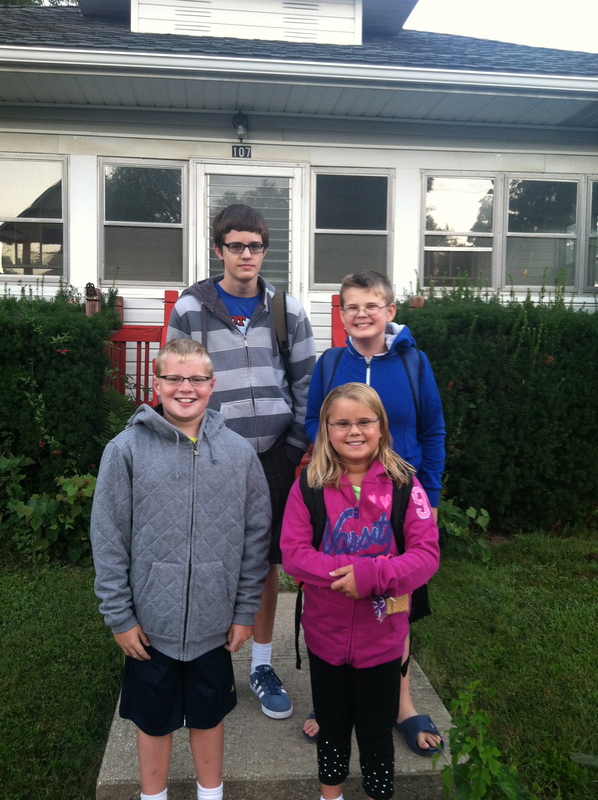 They did grow up fast – kinda like my kids are growing up way too fast. 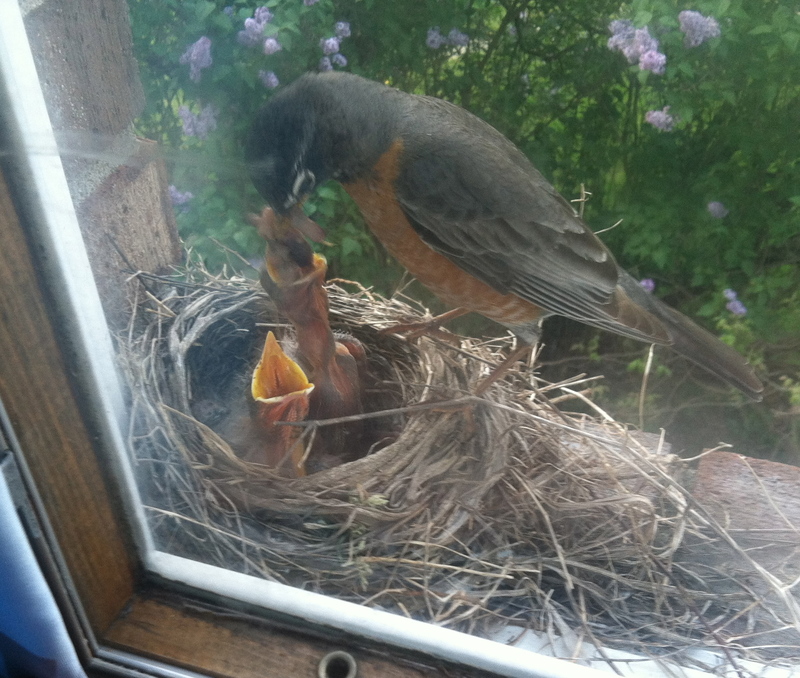 In my last post “Signs of Spring” I shared that we had a mother robin who built her nest right outside Ethan’s bedroom window and she had laid three eggs. 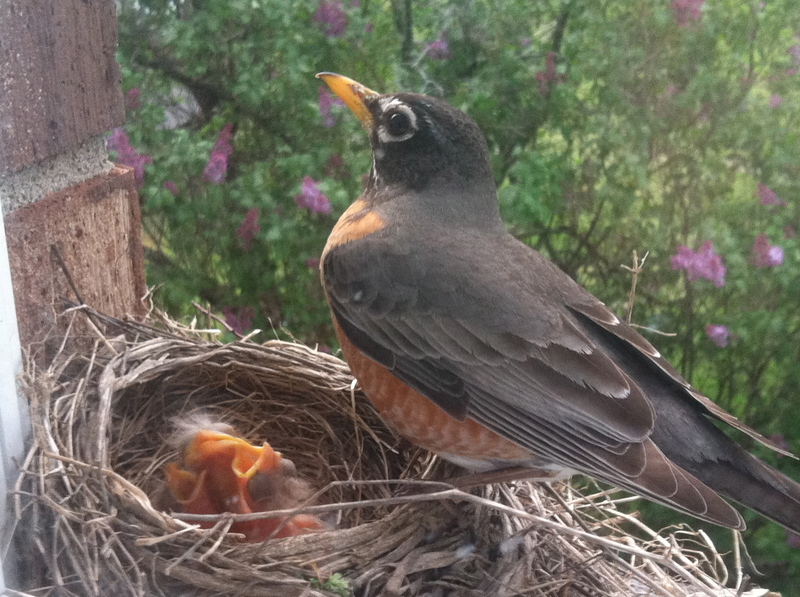 Two of the eggs had hatched and the mother robin was patiently waiting for the third egg to hatch. 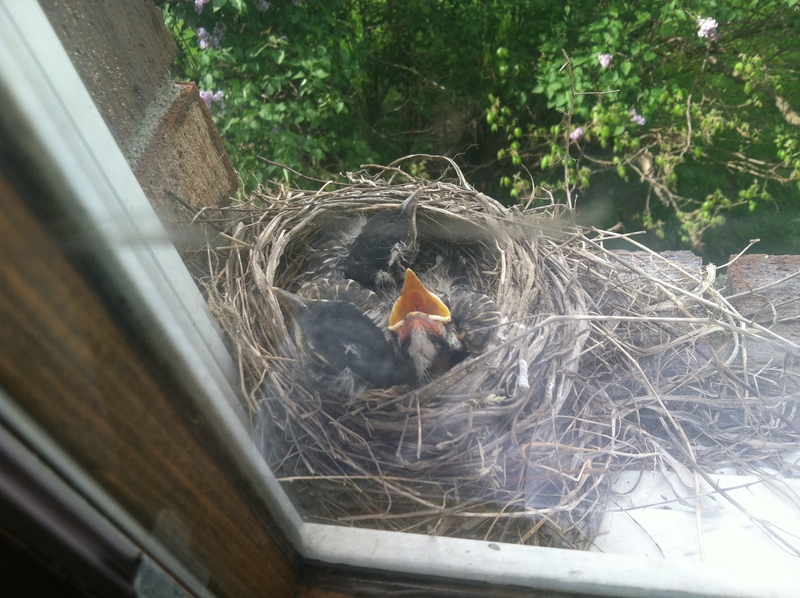 The next morning we checked and found that the third egg had hatched and there were three hungry baby birds with their mouths open, waiting for their mom to feed them. 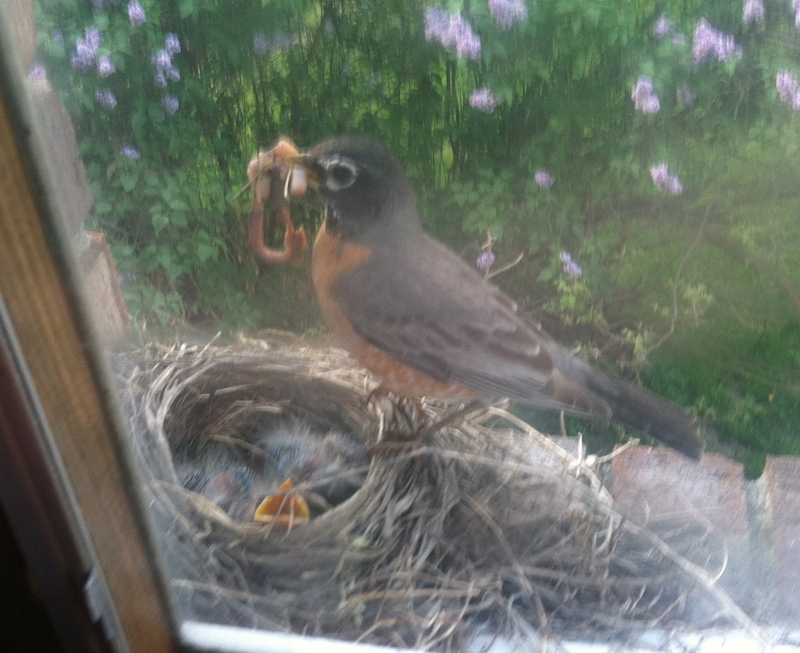 The momma robin made endless trips out in the yard and then brought back worms for her little babies. 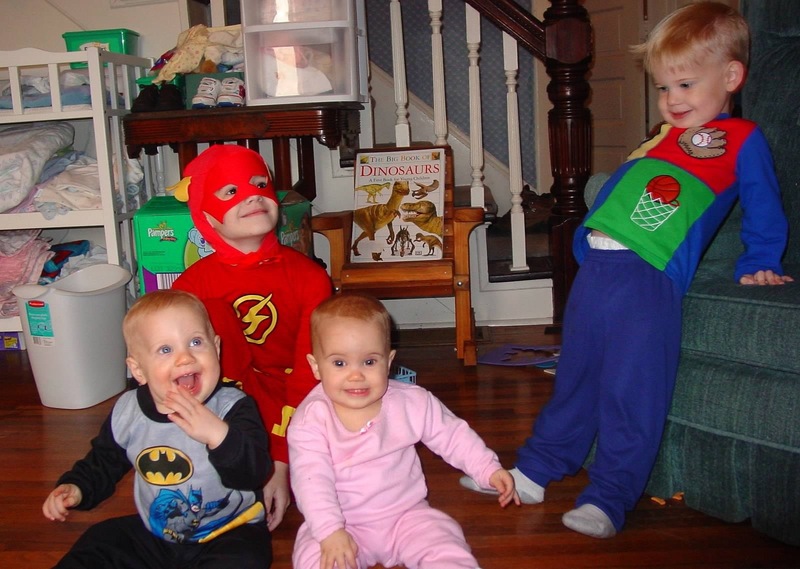 They didn’t even have their eyes open yet, but they knew when their mom came near and they would wake up and open their mouths in anticipation. 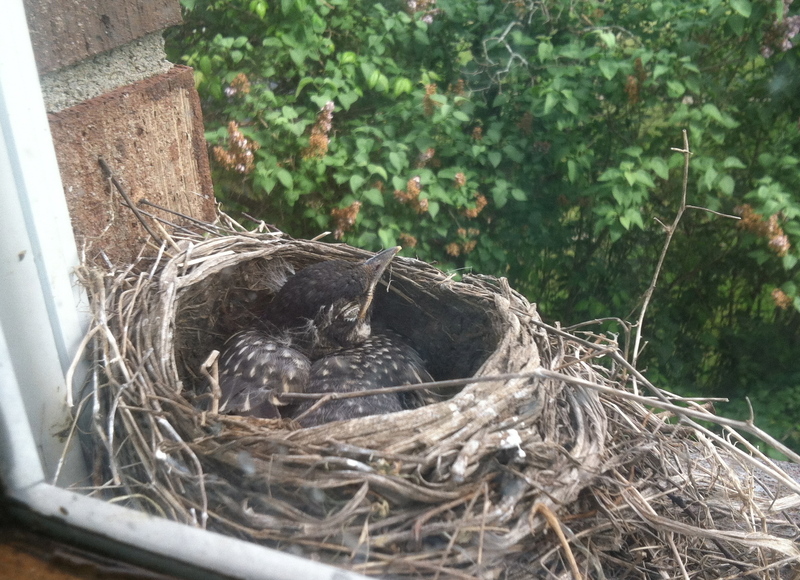 As the days went by the baby birds quickly lost their fuzzy down and it was replaced by feathers as they began to look more and more like their mother. It was only a week after they were born and they already looked twice as big and had opened their eyes. We saw the father bird a few times but it was mostly the mother that came with fat, juicy worms to fed the growing babies. She would sit on the nest and protect at night and when it was raining or stormy out. 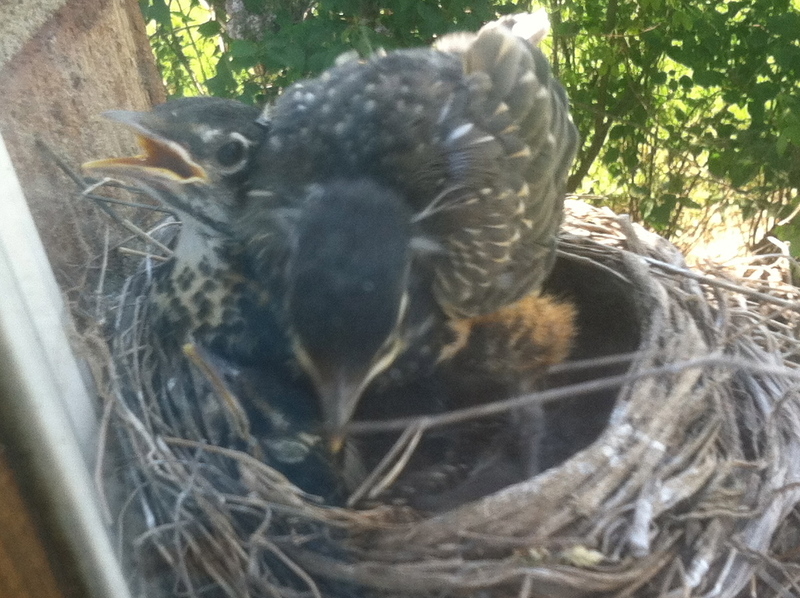 However, as the baby robins continued to grow it became harder and harder for the mother bird to sit on the nest. The next week I noticed that the mother came around less and less. She would still feed the babies but she didn’t sit on the nest during the day at all. 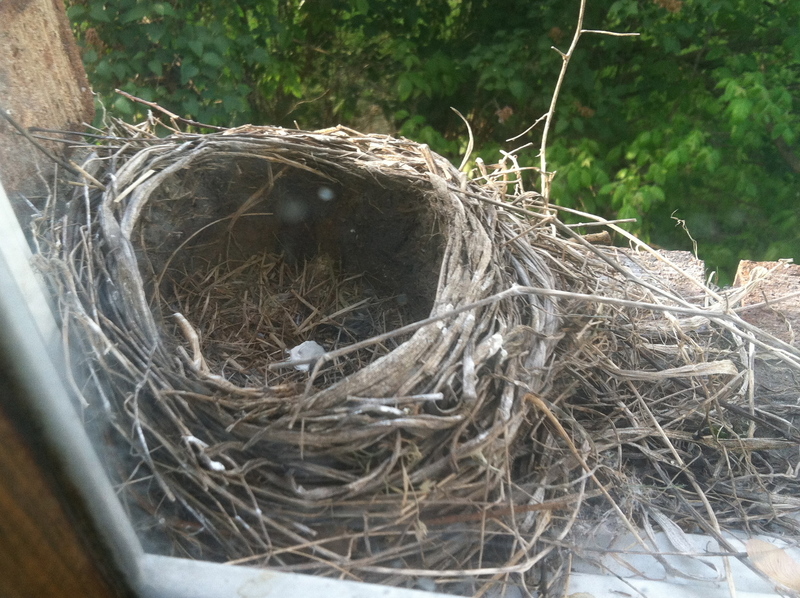 Usually at night she would come back, but it was so crowded there really wasn’t room for her in the nest anymore. 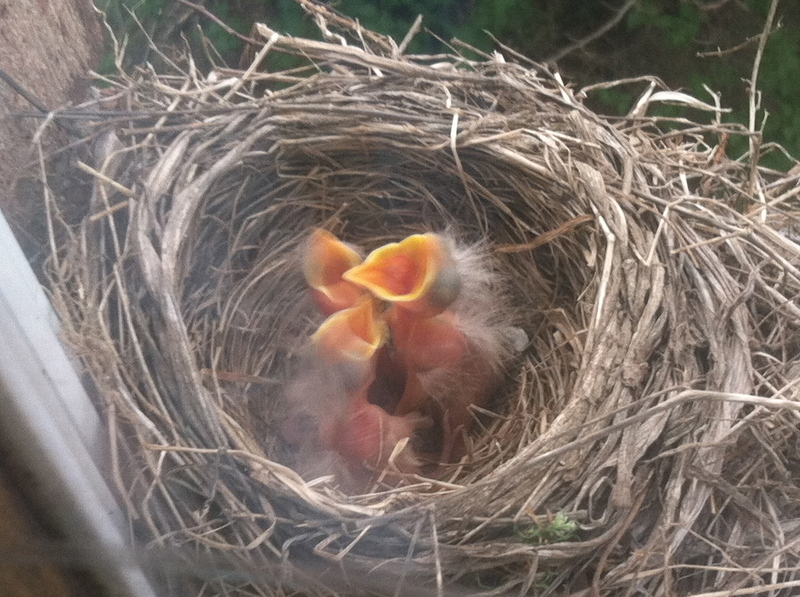 The baby birds began to start grooming and preparing their wings to fly. One by one, they starting leaving the safety of the nest to set out and explore the world for themselves. The first bird flew off and the second bird was not far behind. Emma and Ethan were discussing the birds “flying the coop” and they asked me when the last bird was going to leave. “Yep, and I’m older by four whole minutes!” Ethan bragged. 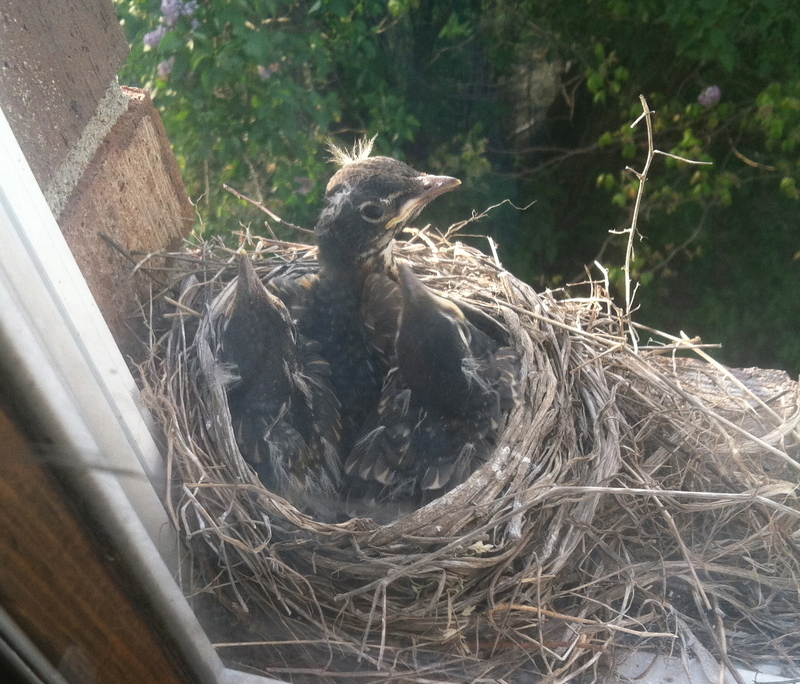 Later that afternoon we came back and found the empty nest. The last baby robin had finished his nap in the nest and decided it was time for his grand entrance out into the wide, wide, world. “So long little birdies! It’s been fun watching you grow up. I’ll miss having you around!” Ethan said sadly. And we have. They are all living in our yard and we occasionally see them in the trees or on the power lines. 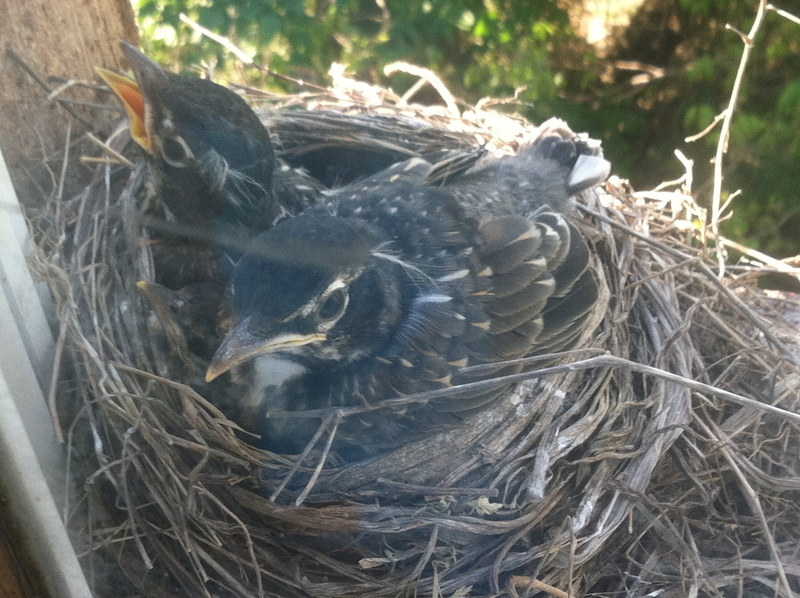 Not as up close as when they were living in the nest, but we still see them and we are still reminded of how we got to watch three little blue eggs become three beautiful robins! Check out my new book ~ Available now on Amazon! Lori Elliott is the wife of a pastor, holds a full-time job and is a mother of four, including a special needs child. Lori has realized that life is messy and figured out there is no such thing as a “perfect” mother. Although motherhood can be overwhelming, stressful and chaotic, but there are those magical moments when the joy and humor you find make all the craziness seem worthwhile. Look! Look! It’s a Real Live Book! “What are you working on?” Emma asked, looking over my shoulder. “I say funny things too!” Emma objected, stomping her foot in protest. “You both say funny things and you both say cute things. I’m sure people who read the book will find you both equally entertaining.” I said, trying to keep the peace and prevent a fight from breaking out in our living room. So, for those of you who enjoy reading my blog, FB posts and tweets … You will soon be able to read them in a REAL LIVE book!